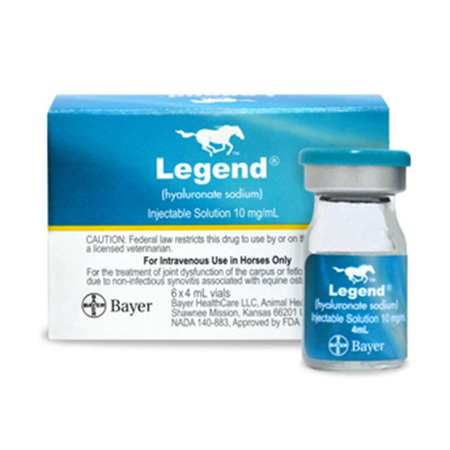 Legend® (hyaluronate sodium) is the only FDA approved I.V. and intra-articular therapy to treat equine non-infectious synovitis associated with osteoarthritis. 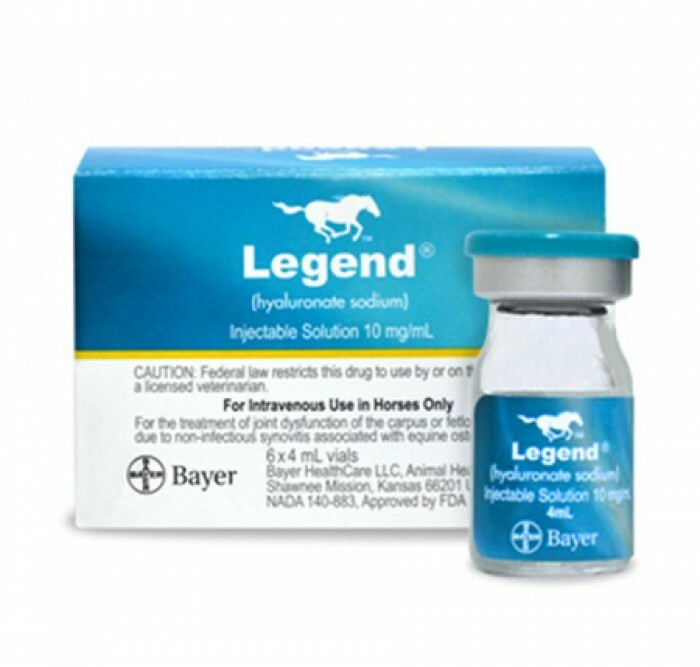 "Legend is pure hyaluronate sodium, the same glycosaminoglycan present in normal joint fluid. Legend is produced by a patented biofermentation process, resulting in such purity that it can be given intravenously for immediate bioavailability. No need to invade the joint with a needle, risking bacterial entrance, physical trauma to joint tissues or intra-articular injection reactions. Safety in breeding animals has not been determined. For use only in horses. Do not use in horses intended for human consumption. No shaving or surgical preparation of the joint. IV administration to treat multiple joints. Available in a larger, 20mL Multi Dose vial for Intravenous use only. Rapid onset of action. I.V. administration helps ensure a quick onset of action resulting in a rapid decrease in inflammation. The intra-articular safety of Legend Multi dose with benzyl alcohol has not been determined.